Getting and winning the interview is the key to being hired. Everything else -- research, resumes, e-mails, phone calls -- is all backup for that crucial meeting. 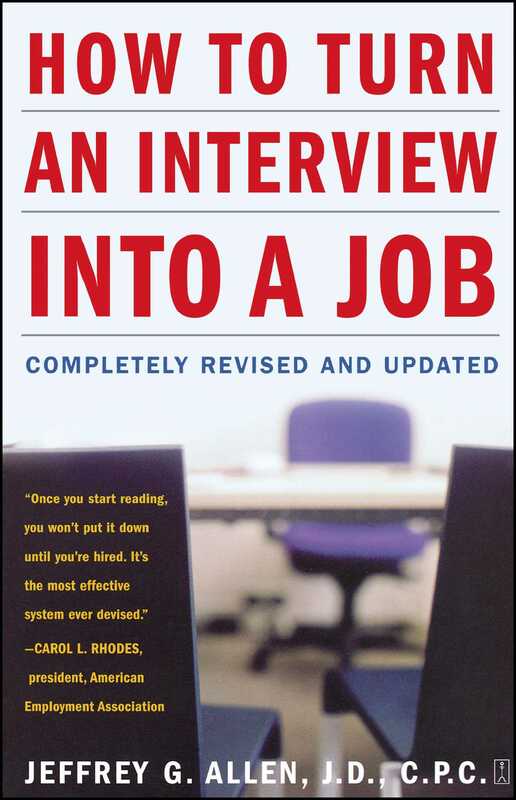 In How to Turn an Interview into a Job, America's leading interview authority, Jeffrey Allen, presents proven advice on the A to Zs of successful interviewing. This new edition for the twenty-first century is also packed with ways to maximize current technology such as fax machines, voicemail, e-mail, and the Internet. For every kind of job seeker, How to Turn an Interview into a Job remains the simplest, most practical, and most streetwise guide to the fastest hire. Carol L. Rhodes President, American Employment Association Once you start reading, you won't put it down until you're hired. It's the most effective system ever devised.